I used to work in the media industry, specifically radio. We had a saying that went “Never let the truth stand in the way of a good story”, and I’m afraid, that’s what’s happened here. 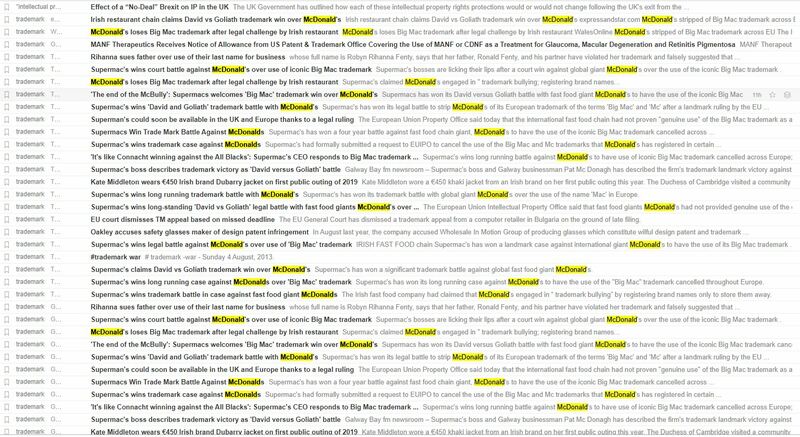 YES, McDonald’s DID have A ‘Big Mac’ trademark registration cancelled for non-use. 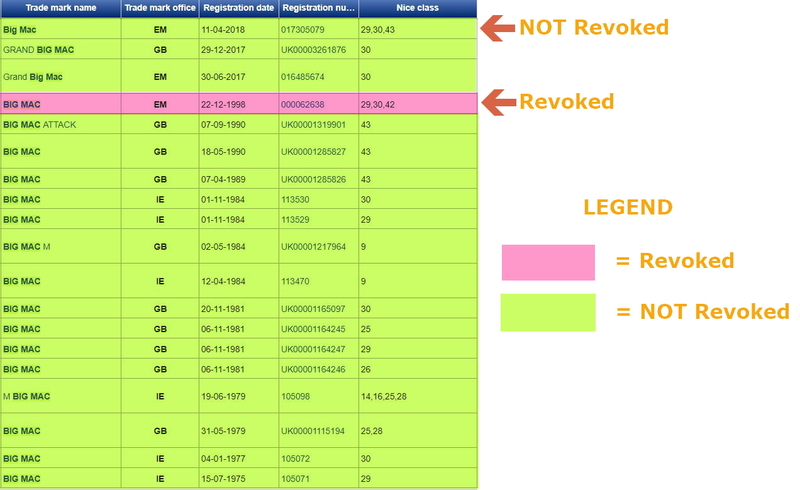 As you can see above, the trademark that was revoked was the EU Trademark registration number 000062638. Class 30 – Edible sandwiches, meat sandwiches, pork sandwiches, fish sandwiches, chicken sandwiches, biscuits, bread, cakes, cookies, cho- colate, coffee, coffee substitutes, tea, mustard, oatmeal, pastries, sauces, seasonings, sugar. However, as you can see above, they have another trademark registered for ‘Big Mac’ in the EU which was registered in 2018. Look at what it’s registered for. LOOK AT IT! McDonald’s have “lost”, but I’m afraid it’s a Pyrrhic victory. The other trademark still stands, is still registered and it still in full force and effect. The decision itself is actually very interesting. You can read my thoughts on that HERE. One of the most interesting aspects, and which might be explored in a future decision (If Supermacs goes for it) is whether the latter registration in 2018 was registered purely to stop Supermacs (or anyone else) being able to revoke it, and therefore registered in bad faith.